Montessori certification to work with every age, from infants through adolescents. We also offer professional development and a subscription library. You can download our combined short brochure or click below on the program you are interested in for more information. You can also view samples of some of our videos. Each program is offered in two tiers, either a Full Certificate or an Associate Certificate program. These are essentially the same programs, except that the Full Certificate program includes either one or two short residencies in addition to the online component. The Associate Certificate is not generally made available to North American Elementary adult learners because of the increasing requirement of schools to have teachers with certificates from MACTE-accredited programs. Focusing on understanding the incredible developmental changes that take place in the first three years of life, this training is for adults who want to work with children between birth and 3 years of age. CGMS offers low residency and no-residency courses for every level of your Montessori journey. On this page you can learn about programs for assistants and parents, teacher certification, and advanced professional development opportunities for certified teachers. When you apply, remember to write the code: CGOCT18 for a $50 discount! 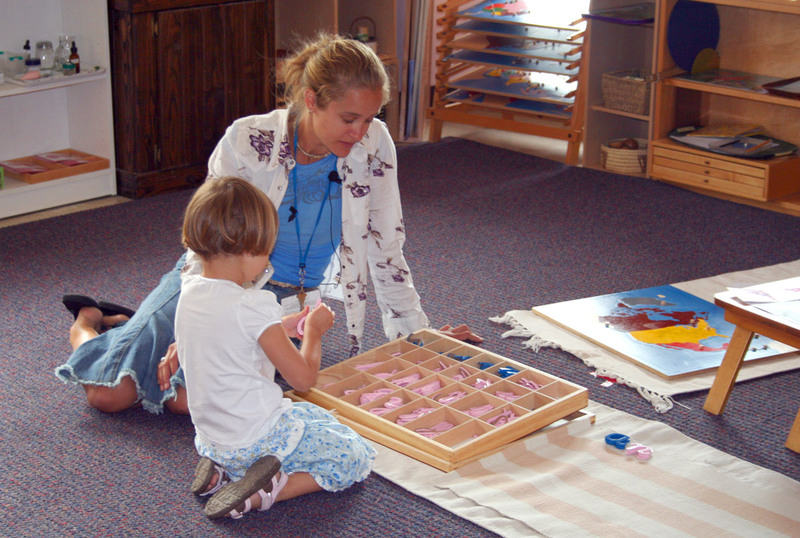 Internship or Practicum Phase: The required phase of training spent in an authentic Montessori classroom, where adult learners put theory in practice. Normally this is done as an assistant to an experienced and certified Montessori teacher. In some cases it is possible to complete a“self-directed internship” in which the intern does not have a certified teacher to work with, and is therefore responsible for leading the class while they are still being trained. Self-directed internship must be approved by CGMS. Residency: time spent at one of our in-person training centers. The residency requirement is what distinguishes the Full from Associate certificates.